 Buffalo State's 145th Commencement, celebrating December 2016 graduates, January 2017 graduates, May 2017 degree candidates, and August 2017 degree candidates. The campus community is invited to join the International Center for Studies in Creativity at its annual conference, Creativity Expert Exchange (CEE), October 13–15 on the Buffalo State campus. Brief presentations from 11 creativity experts in a variety of different fields about a variety of topics. Ideas, thoughts, and inspiration packed into an eight-minute talk. Intended to be thought-provoking snapshots of the current pulse of creativity and innovation. The 18th annual Faculty and Staff Research and Creativity Fall Forum. With over 100 people displaying their works, this is an excellent opportunity to network with other Buffalo State faculty and staff members and to identify common scholarly and creative interests. This year's sale will benefit natural disaster relief efforts by the American Red Cross. Job and Internship Fair 2018 is open to current Buffalo State students and alumni from all majors and year levels. Employers from local, regional, and national organizations will be in attendance to recruit for full-time jobs and paid internships. Program leaders of the International Center for Studies in Creativity’s service-learning Myanmar course will hold an information session for students interested in a three-week travel and service-learning opportunity in Yangon, Myanmar. Please join us for the Professional Science Master's "Lunch and Learn Event at Buffalo State," a free event presented by Agilent. Buffalo State’s student leadership and humanitarian awards recognize students who help make Buffalo State truly extraordinary—the students who go above and beyond, who answer the call to service, who lead their peers and our campus with energy, integrity, vision, and creativity.